We’ve been offering live streaming on YouTube since 2011, before it was cool. Millions of people around the world tuned in to watch the Royal Wedding in 2011. One-sixth of the Internet watched Felix Baumgartner leap from space live on YouTube in 2012. And just this year, we became the first to ever broadcast a 360-degree live stream during Coachella. Over 21 million people tuned in to watch Coachella on YouTube this year—almost twice as many as tuned in to watch the season finale of American Idol. 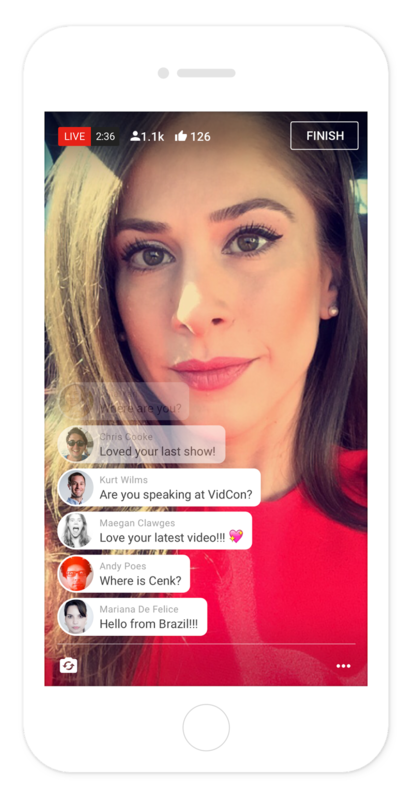 Today, we are announcing a new chapter in bringing the power of live video to creators everywhere. 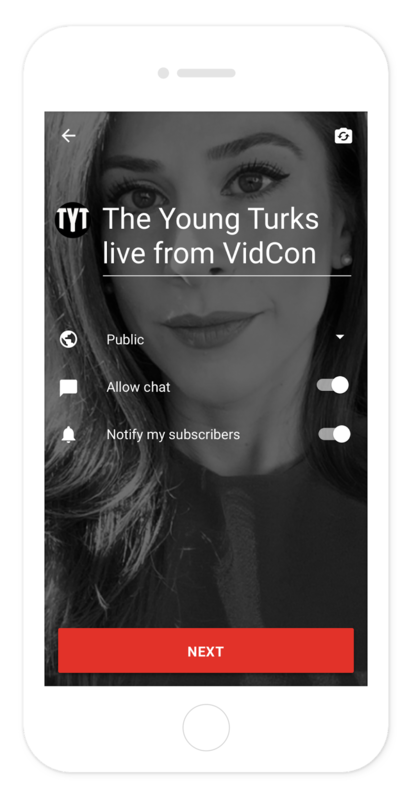 Soon, we’ll be putting the power of YouTube live streaming in the palm of your hands. Because it’s built right into the YouTube app, mobile live streaming will have all the features your regular videos have—you’ll be able to search for them, find them through recommendations and playlists and protect them from unauthorized uses. And since it uses YouTube’s peerless infrastructure, it’ll be faster and more reliable than anything else out there. We think this will offer you an entirely new, more intimate and spontaneous way to share your experiences with your communities. We’re launching today with The Young Turks, AIB, Platica Polinesia, SacconeJolys, and Alex Wassabi at VidCon and will be rolling it out more widely soon.